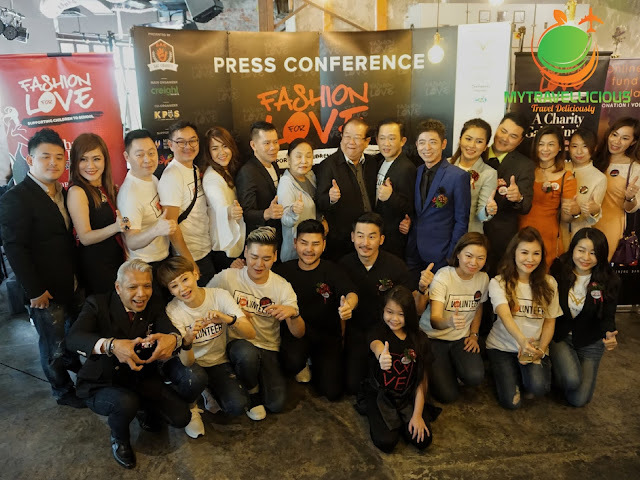 A community educational fund raising project, organized by The Giving Bank together with Creight Event & Services and the Ministry of Women, Family and Community Development has organized an event under the theme of “Fashion for Love”. With a slogan, “Supporting Children to School”. These children are from a poor family background and their parents could not afford to send their kids to school. Because these kids are not being exposed to education, the chances of them learning and being able to feed themselves or being independent is relatively low. The cycle of poverty and the relation to being a less fortunate will never end and it will continue for generations to come. The only way to fight this is to give the children hope, giving them an equal chance of education exposure, grow up well and leading them to decent employment. With such, the scenario will change to a positive structure. The project is held with a simple objective. The mission is to raise funds from the public community to serve and cater 300 multi racial children in need. The organizers believe everyone deserves an equal right to education. Going to school and seeking education is a very important element at every stage of growth. This will give the child hope and a chance to experience something that they’ve never experienced before and help them become useful members of the society. The organizers are here together, to bring love and happiness to these children. They want to bring joy to the children and want this to be special and meaningful. They want them to know that many people out there are loving them. They have started to build the team and its formation gearing towards the total planning since August 2017, and they have arrived to a stage in having our Press Conference on 22 September 2017 gearing towards the main highlight in October 8th 2017 at HGH Convention Centre said Mr. Simon Goh, Founder of Creight Events. They are raising the educational funds, and it will lead to the official giving ceremony. The solicitation of this total campaign will go to the respective schools having the headmaster and school PIBG committees to monitor. The beneficiaries of these 300 children will be able to use the funds to pay for their school fees, or to purchase items such as books, stationary, school uniforms, school bags and shoes. 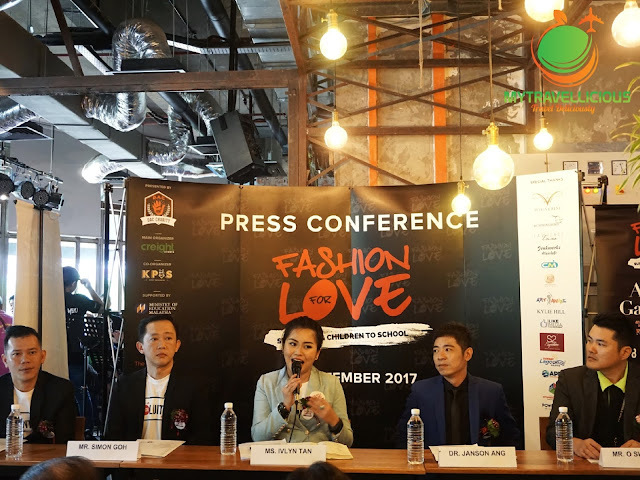 Added on, Ms. Ivlyn Tan Director of Creight Event mentioned that, "To give it a better boost and making the event further memorable, The Fashion for Love team has also alligned an agreement along with Octoprenuer College. We are committed with the support shown, to offer and provide 100 scholarships to the less fortunate community to study Diploma in Business for SPM leavers, whom could not afford to further their study. This is a non-bias offering and it will be shared through all race, ethnincity and genders across Malaysia. Anyone whom feels that they require this opportunity can speak to the committee. A process of interviewing and performing the due dilligence is required to ensure its eligibility based on our criteria"
The Giving Bank, also known as www.thegivingbank.com is an online charity fundraising platform in Malaysia. A NGO and a Non Profit Organisation with a mission to connect both the charity and the public through the power of technology. The Giving Bank’s online fundraising platform enables the public to pledge their support or contributions through The Giving Bank website with just a click of a mouse. They try to make ‘GIVING’ affordable and simple, said Dr Janson Ang. 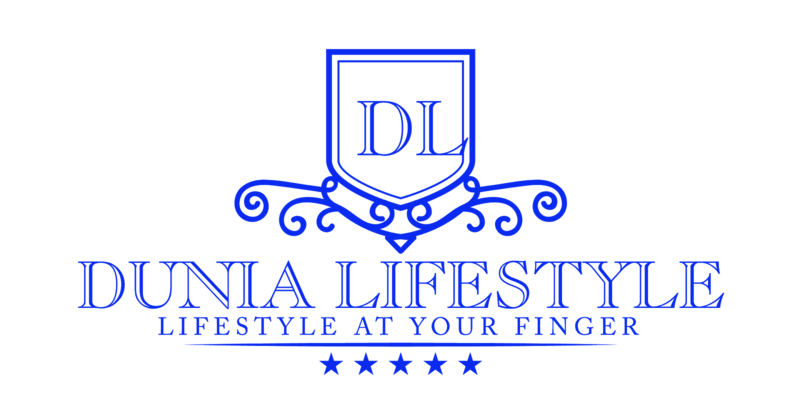 Each campaign is carefully picked and selected through stringent due diligence before announcing it to the public via the website. The funds raised are channeled to selected charitable campaigns and the public can access the website to gain information about the campaigns which generally fall into three main categories: Health, Education and Humanity Culture. The are a non-bias organisation and they strive to assist everyone in need across religions, race, ethnicity and gender. The Giving Bank, with its tagline “The Bank That Gives”, also aims to take the lead in encouraging communities, societies and corporates to actively participate in charity, and to adopt this as a daily routine in their everyday lives.